Chances are, you’ve probably heard of or have tried the top-notch tempura at Tendon Kohaku. 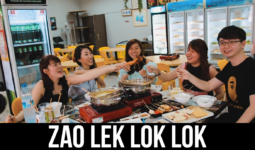 Its first outlet at Suntec City unceasingly attracts the lunch crowd ’til today, and will continue to attract hungry lunch-goers over at its spanking new fourth outlet at Chinatown Point! 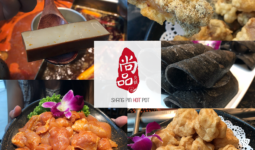 The tantalising tempura will now be available closer to those folks working around Raffles Place/Telok Ayer or Chinatown, with an exclusive Wasabi sauce in addition to the Original and Spicy options!! 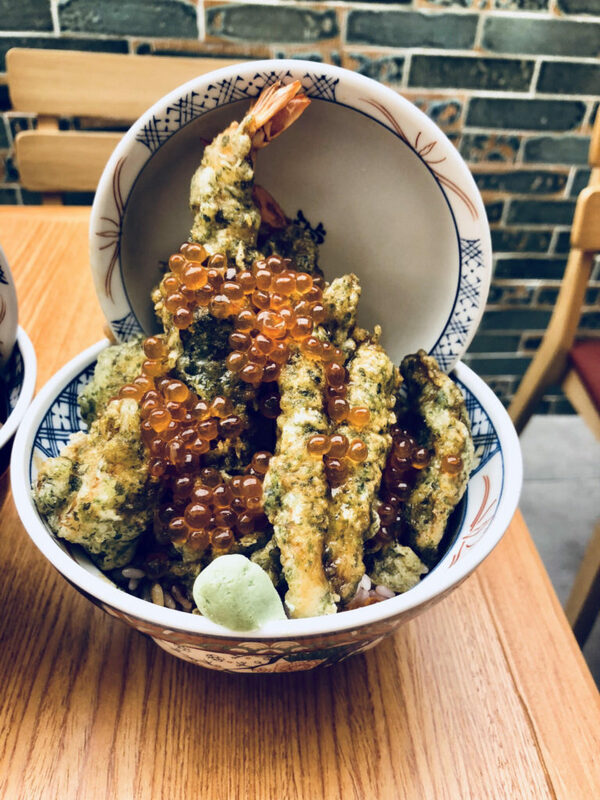 We tried the Spicy version of the Kohaku Tendon, consisting of chicken and vegetables such as long beans and mushroom, as well as the Wasabi version of the Seasonal Seafood Tendon, including an assortment of seafood such as large prawns, scallops, and crabmeat, overflowing with fresh pop-in-your-mouth ikura (salmon roe)! The tempura was presented atop a generous serving of the fragrant Japanese 16 Multigrain rice, which we selected instead of the Japanese white rice. The tempura was deep fried in a fresh, crispy, umami-flavoured shell. 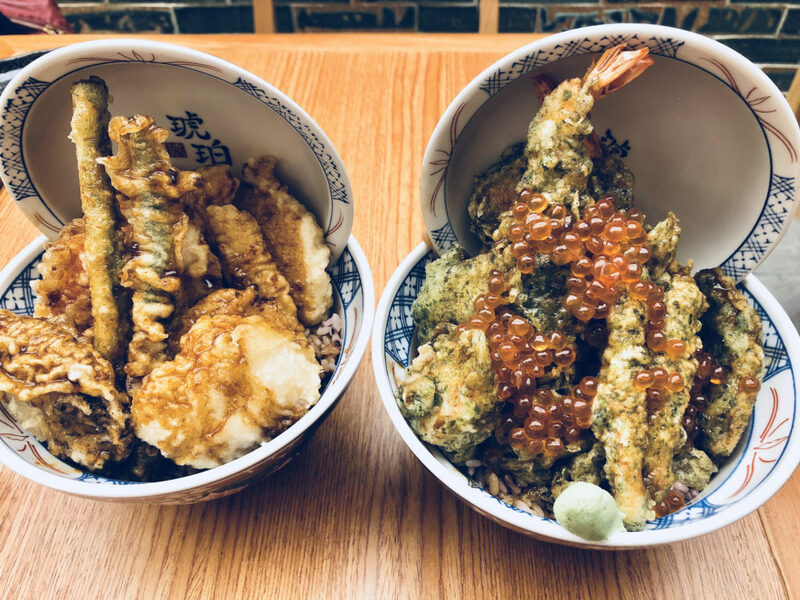 The Kohaku Tendon was fried in a lighter batter, whilst the Seafood Tendon was fried in a seaweed-infused batter which was heavier, more to a crunch than a crisp. Both were drizzled respectively in different sauces as well. 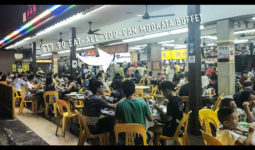 The Wasabi sauce drizzled over the Seafood Tendon boasted just the right level of wasabi flavour, not too overpowering but still enough to stand out. The Spicy sauce was not overly spicy either, yet still refreshing. 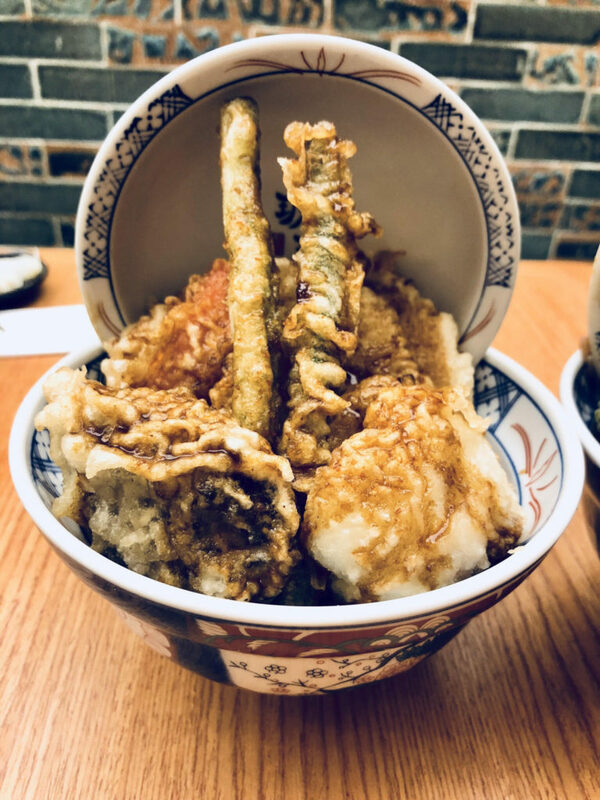 Kohaku Tendon takes special care to ensure that the oil used to fry every batch of tempura does not turn brown with repeated use. 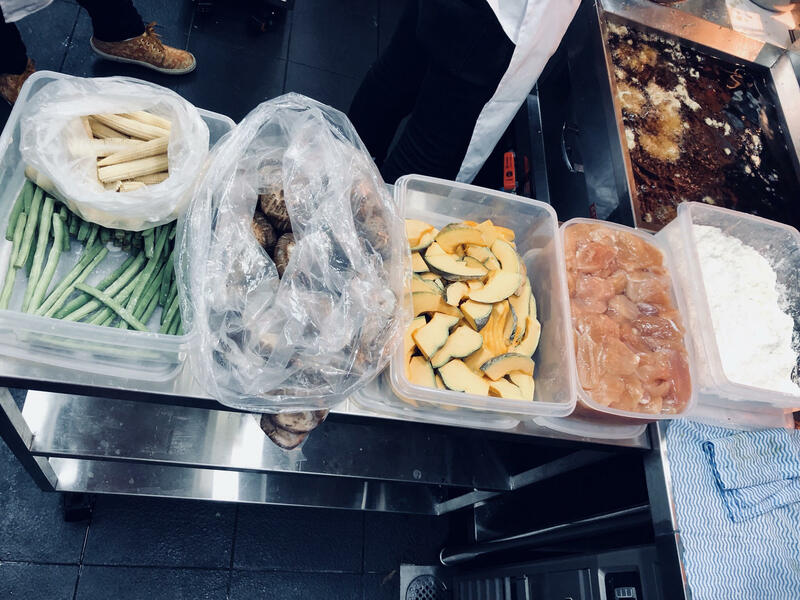 A special filter sieves out any food remnants to prevent them from tainting the oil by over-frying, and the oil is renewed frequently to maintain freshness. Gotta love Japanese technology. Tendon Kohaku also provides reasonable prices to go with its quality food! The Kohaku Tendon was just $15, with its seafood counterpart going at $23. 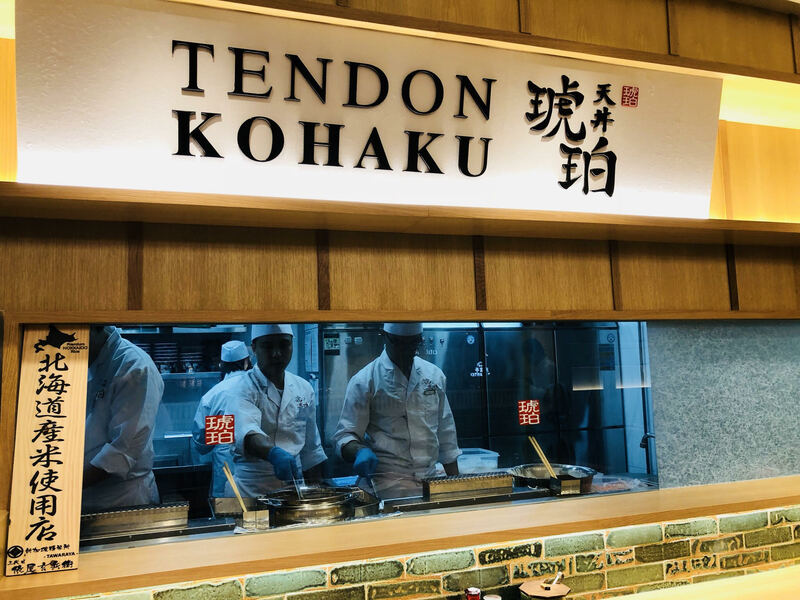 To celebrate its grand opening of the outlet, TENDON KOHAKU will be hosting out-of-the-world promotions — this is the first time in its history that it is doing so! For the first day of operation on 06 February 2018, diners can enjoy 1-for-1 KOHAKU TENDON (Usual Price: $15++ per bowl). 1-for-1 offer will be limited to 400 bowls only. From 7 to 9 February, buy any 3 tendons and get the 4th tendon (of a lower price) for free!